Do Kazakhs prefer goat polo (kokpar) or soccer? 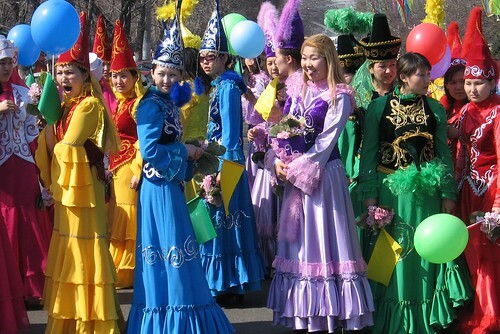 Nauruz is a spring festival celebrated across Central Asia, often with multi-day parties in smaller towns, and concerts and state-organized festivals in larger cities. And due to the generous guidance of a local friend, my sister and I got to explore the festivities in Kazakhstan’s capital city, Astana, for a few hours. Below is a short video set to the tune of singer Yerden’s Omir Koktem. I hope it gives you a glimpse of the big-city celebrations!